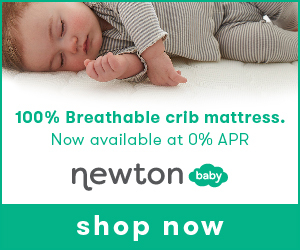 Are you looking for a firm mattress you can buy online? Our last post talked about the most plush beds you can buy in a box. Today we’re talking to those of you who like a nice and firm bed. 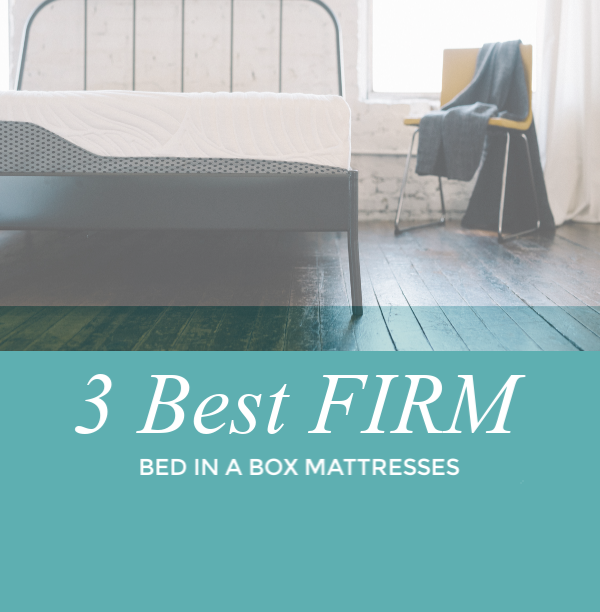 While most mattresses you can buy online come in at about a 6 on a firmness scale from 1-10, these beds are an 8 or higher. 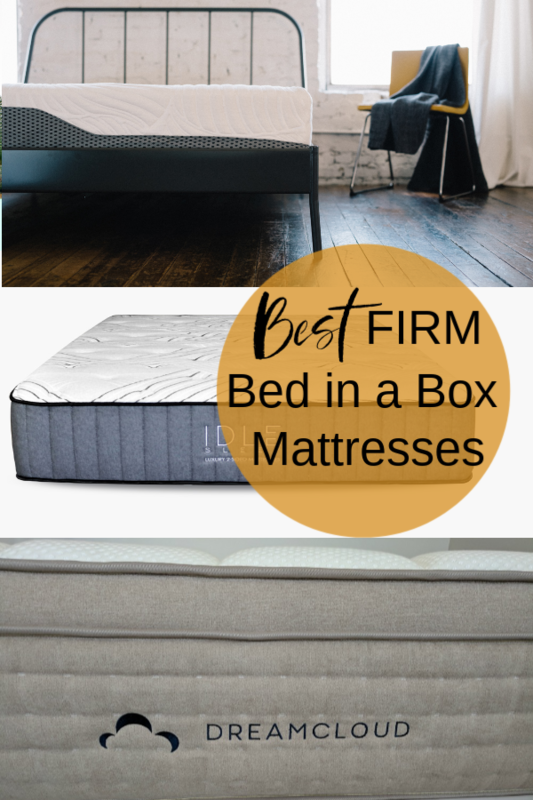 These beds are not only firm, they’re a good looking group! You’ll find that they’re thicker and more high end than a lot of mainstream brands. 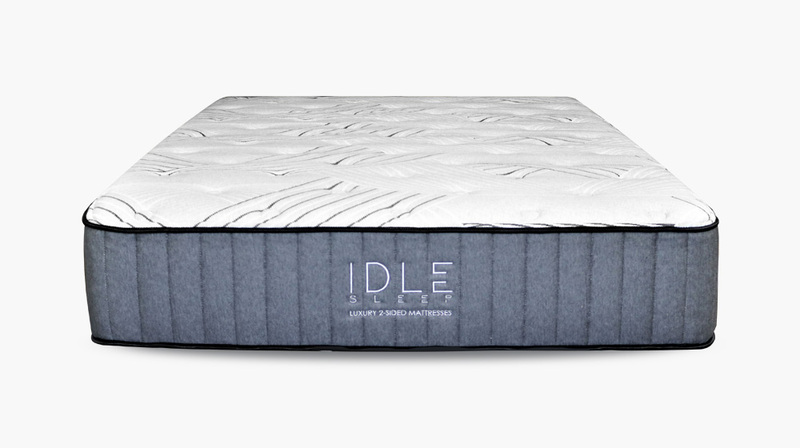 As of recently, Idle changed the foam density in their luxury firm hybrid mattress. It’s now an 8.5-9/10 in firmness. Previously they rated it at a 7-7.5/10. Idle said that this will help customers distinguish the bed from the original mattress that’s more a medium. With this change the Idle might just be the firmest mattress in a box! Idle is our top pick because it has an excellent reputation, low return rate and a LIFETIME warranty. However you’ll pay a bit more for an Idle (still in line with the quality, even a steal) – prices are over $1k for a queen. 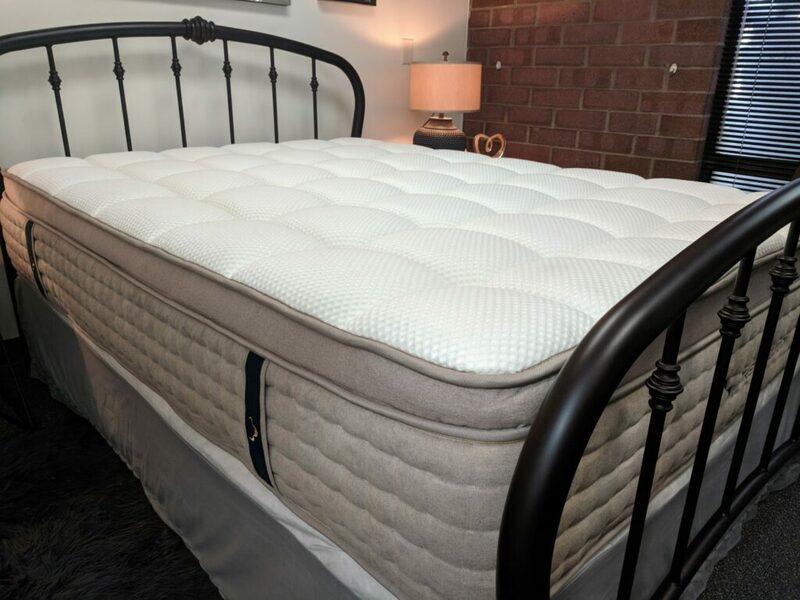 If unboxing and set up of your new mattress is a problem, you can add white glove delivery which includes set up and old mattress removal for $149. We know that DreamCloud is advertised as a medium or even plush bed but in reality we’ve found it more firm than most of the others we’ve tested. It’s such a gorgeous thick, pillowy top that you think you’re getting a soft bed, but it’s surprisingly firm. The DreamCloud is thick and we love that it has handles which makes handling and rotating it much easier. We have a plush Voila in our guest room and it’s not plush at all to us. It’s more of a medium. Voila comes in plush, medium and firm. You’re allowed one switch the foam out one level so it’s softer or firmer. A medium could go down to a plush or a medium could go up to a firm. Either way, if you want a true firm, the Voila should be just the right choice for you! 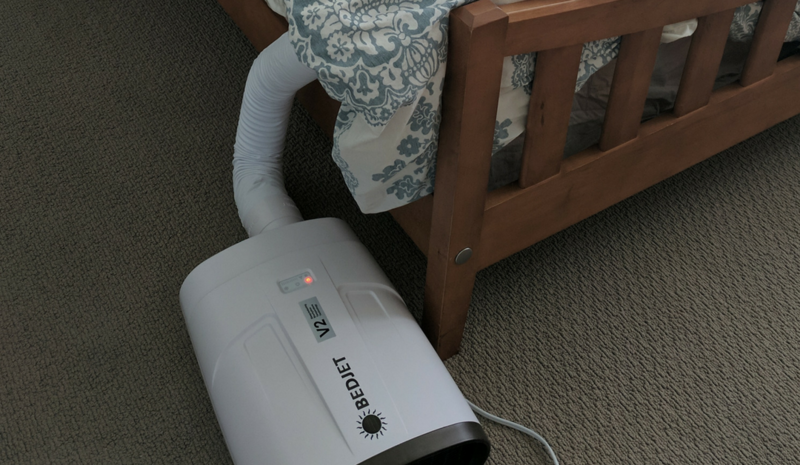 BedJet bed fan is one of the best ways you can get better sleep if you sleep with someone who prefers a different temperature than you do. 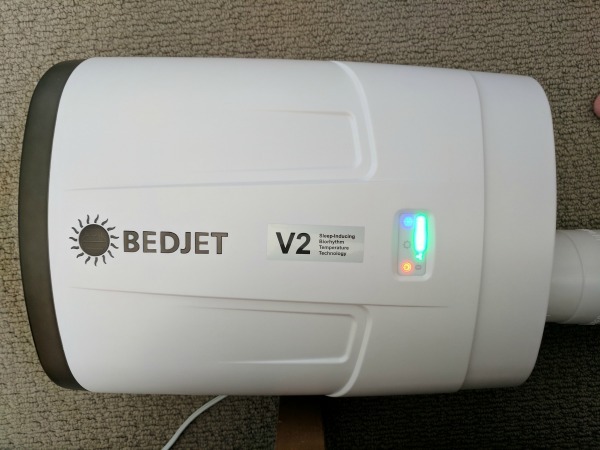 If you get too hot or cold at night to the point that both of you are miserable, the BedJet may be the answer. 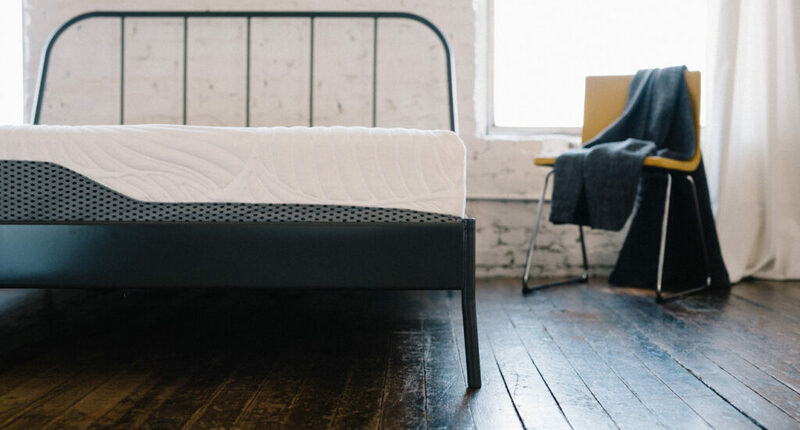 It works fast and best of all you can customize each side of the bed with the Dual Zone Cloud Sheet. Essentially it has pockets in the duvet-like sheet. The BedJet fills the pocket with cooler or warmer air (or no air) that is blown into the sheet. Each side of the bed can have a BedJet running or just one side. While you may not think of a BedJet bed fan as romantic, many husbands buy one for their wife so they can both sleep better. Night sweats and hot flashes can interfere with sleep. So an investment in a BedJet means each person can have the bed set to the temperature they prefer. Get a great deal on BedJet this Valentine’s Day. Get a FREE Cloud Sheet with purchase of any Dual Zone bundle for couples.